Let's just say you are working in a rural ED when a healthy 27 y/o male comes into your ED with fever, sore throat and a muffled voice and is diagnosed with a peritonsillar abscess. You decide to drain the PTA on your own since most patients can be treated by a single needle aspiration. After providing sufficient local anesthesia for your patient you get ready to aspirate the abscess cavity. Remembering back to anatomy lecture, you realize that the carotid artery lies lateral and posterior to the posterior edge of the tonsil and want to make sure to avoid that area. Use a 18G needle with trimmed plastic sheath to prevent aspirating the carotid artery. Approximately 1-1.5 cm exposure of the needle should be adequate. If you have issues with the syringe barrel obscuring your view, try using an 18g spinal needle instead. One of the difficulties of PTA drainage is visualization as these patients can have trismus and tend to bite down during the procedure. ALWAYS protect yourself and create a bite block out of 4x4s and a tongue depressor. Use a laryngoscope to provide adequate lighting during the procedure. Be sure to provide sufficient topical anesthetic to prevent gagging. You can try 2-4 ml nebulized 4% lidocaine or benzocaine spray. Have the patient hold the laryngoscope if they are nervous as this helps give them some control over the already uncomfortable situation. A speculum with a fiberoptic light can be used to help maximize lighting. Remove the upper lip and use the lower portion to apply downward pressure to the tongue. Use a video laryngoscope to project your view onto a bigger screen. Useful for teaching! Topicalize oropharynx with 2-4 ml nebulized 4% lidocaine. Use an intra-cavitary probe to identify location of the abscess (learn how here). 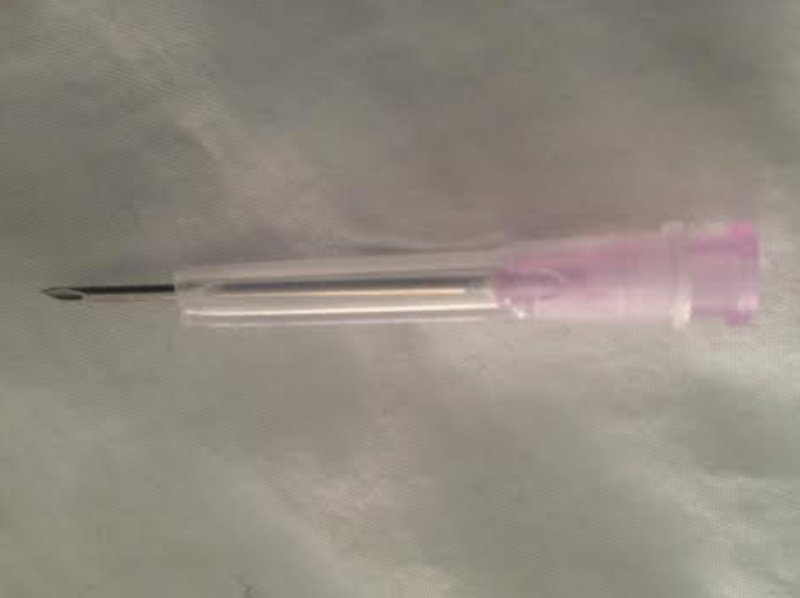 Cut plastic sheath of 18g needle (or spinal needle) 1-1.5cm based on abscess depth. Obtain adequate visualization of target with your laryngoscope or speculum, applying downward pressure on the tongue. Insert the needle at your target location identified on ultrasound, aiming straight back (remember carotid is lateral) and aspirate as much fluid as you can. What rare side effect should you be aware of if using benzocaine for topical anesthesia?